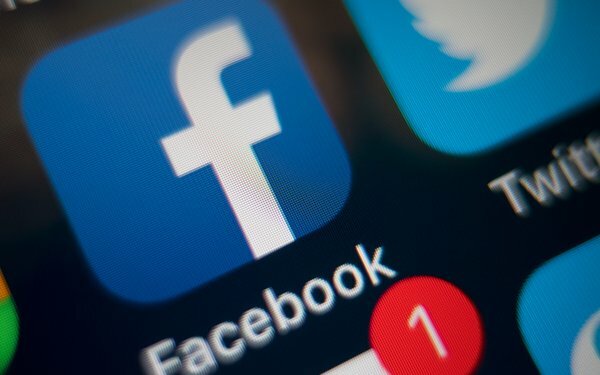 Marketers who are suing Facebook over allegations of inflated video metrics have amended their complaint to include allegations that the social networking service's statements about metrics may have amounted to fraud. "Internal records recently produced in this litigation suggest ... that Facebook’s action rises to the level of fraud and may warrant punitive damages," the marketers allege in new court papers filed Friday with U.S. District Court Judge Jeffrey White in Oakland, California. The new complaint contains large swaths of blacked-out text, making it difficult to determine what specific information forms the basis of the fraud allegations. But in a publicly available passage of the class-action complaint, the marketers refer to Facebook's alleged "longstanding reckless indifference to the metrics’ accuracy." The court battle stems from revelations that Facebook misreported two metrics related to its video ads. The result of the errors was that Facebook inflated the average time spent viewing ad clips by 60% to 80%. "The wide disparity between the actual average viewership and Facebook’s reported metrics should have been corrected immediately," the marketers write in the newly amended complaint. "Facebook either knew that the average viewership metrics it was reporting was false ... or reported those metrics recklessly and without regard for their truth." They are seeking monetary damages -- including punitive damages -- and an injunction that would force Facebook to hire outside auditors and to "promptly correct any problems or issues detected by these auditors." Facebook hasn't yet responded to MediaPost's request for comment on the marketers' new allegations, but the company previously said the case "has no merit" and that the company will defend itself "vigorously." 5 comments about "Facebook's Alleged Video Metrics Errors Amount To 'Fraud,' Marketers Claim". Ed Papazian from Media Dynamics Inc, August 7, 2018 at 12:25 p.m.
Why are advertisers still relying on seller "data" to evaluate their digital audience delivery? Isn't it well past time for there to be an ongoing third party panel "rating" system with a much larger sample than is now used by Nielsen and comScore and funded mainly by the sellers---as is standard practice in "legacy media"? John Grono from GAP Research replied, August 7, 2018 at 8:32 p.m.
Ed, while I agree with your sentiment, I don't think the solution ies in a bigger panel. Put simply there are millions, if not billions, of websites to measure. There will not be a sample large enough or unskewed enough to do the job. With the internet you do get very good measure of traffic (i.e. total demand) from server-side data, or tagged content. But traffic does not equal audience, and it doesn't provide the bedrock demographics required. You also need to be able to de-duplicate usage across devices and websites when creating an advertising campaign. Using third-party account data for location, age and gender is a vital piece of the jigsaw, as is a large panel to provide information like cross-device duplication and duplication of website usage. It is even further complicated by 'off-platform' usage and how it is credited. Nielsen here downunder is working very hard with the local IAB and recently launched Digital Content Ratings Daily (DCR). It ain't perfect but combined with Digital Ad Ratings (DAR) we're making progress. Ed Papazian from Media Dynamics Inc, August 8, 2018 at 7:32 a.m.
John, it would be impossible for any national panel to measure every website, individually, just as Nielsen's national peoplemeter panel does not attempt to measure every station ---or show on each station--- specifically in compiling national ratings. It is large enough, however, to report in detail on major networks and cable channels and, of course, on ad schedules placed on combinations of channels and programs. This is what I'm suggesting for digital media. Stop trying to measure everything that happens on every website and every single ad exposure--- no matter how small the audience is. Instead, create a third party source usig agreed upon and common metrics for all sellers that can supply the same kind of "audience" data that we use now for national TV. In view of the fragmented nature of Internet usage, I believe that this would require a much larger panel than Nielsen and comScoire are now employing---but I believe that such a move, coupled with sensible use of the data---not trying to break it down too finely-----would solve many of the metric "errors" and related issues now causing so many problems. John Grono from GAP Research, August 8, 2018 at 8:50 a.m. Yes I understand that Ed. It's something I have been wrestling with here downunder for over a decade. The difference is that for small regional TV stations that can't be measured by sampling there is virtually no other measurement alternatives. The same goes for local newspapers and radio stations. Yet for small digital sites they do have an alternative - that is they can measure (to greatly varying degrees of accuracy and veracity) the traffic to their website - and therein lies the problem. The result is that you have small sites, many of them unwittingly. passing off gross monthly traffic (Unique Browsers) as their audience, and a market that accepts these overstatements due to lack of knowledge and expertise. Put simply, sampling won't work and server side measurements won't either. However, there is strong promise for a hybrid system that can quantify the total usage (i.e. traffic) as a starting point (i.e. a maxima) and use sampling and other third-party data sources to get robust audience estimates. Ed Papazian from Media Dynamics Inc, August 8, 2018 at 10:06 a.m.
John, if we keep worrying about every site then I agree, there is probably no solution. What I'm suggesting is that we develop a third party measurement based on sampling, mainly, that accounts for 95% of the impressions in a fair and open way---not user by user but on a projection basis. I realize that this might make more sense for TV-style branding campaigns as opposed to DR and mom and pop campaigns, but unless something is done to satisfy the needs of TV-style advertisers to provide a fair estimate of their digital audience across websites and by individual platform---sample size permitting---what's the alternative? Bad and untrustworthy data?